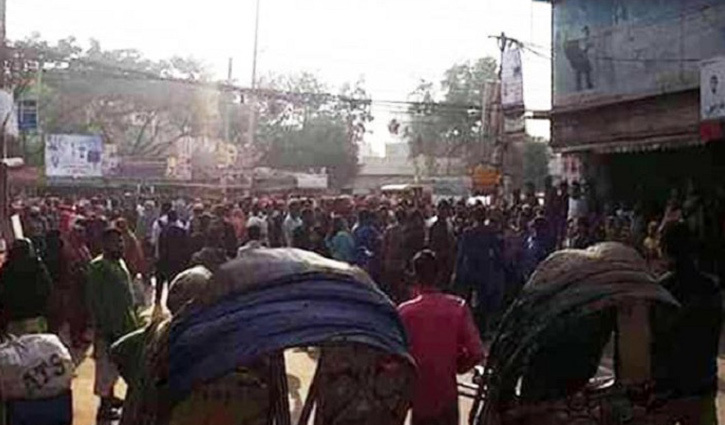 Staff Correspondent: Apparel workers have blocked road in the capital’s Adabor area demanding implantation of the new wage structure announced by the government. They took the street in front of Shompa Market on Ring Road at Adabor since Wednesday morning. Police remain alert in the area to avoid any unwanted incident. SM Kawsar Ahmed, Officer-in-Charge (OC) of Adabor Police Station, conformed the news. The traffic movement in the area came to a halt due to the workers’ demonstration, causing immense suffering to commuters.